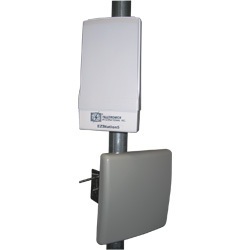 EZStation5 is a high-performance Indoor/Outdoor Access Point with integrated PoE. Using Atheros-based Wireless radios, EZStation5 supports high-speed data transmission of up to 54Mbps or 108Mbps. EZStation5 is embedded with an integrated 5GHz 12dBi dual-polarization (vertical and horizontal) antenna. 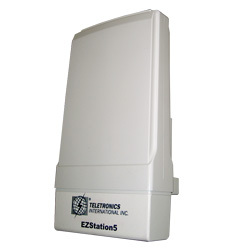 With optional 19dBi patch antenna, EZStation5 provides extended coverage for long range solution. The device is a powerful and yet easy to use and implement for wireless ISP.